Rudy Giuliani is doing his part to spin the Women’s March by saying he doesn’t know what all these women are even talking about. To be fair though, it rarely seems like Giuliani knows what anyone is talking about. Rudy Giuliani: They do have some real issues, but most of the people I saw in Washington, and even the ones here in New York because I got back in time, I’m not even sure they know what they’re [protesting]. They’re not protesting any one thing. It’s not as if we’re protesting Roe v. Wade. Brian Kilmeade: I don’t get it. I’m just totally speechless. I don’t even get what their complaint it. 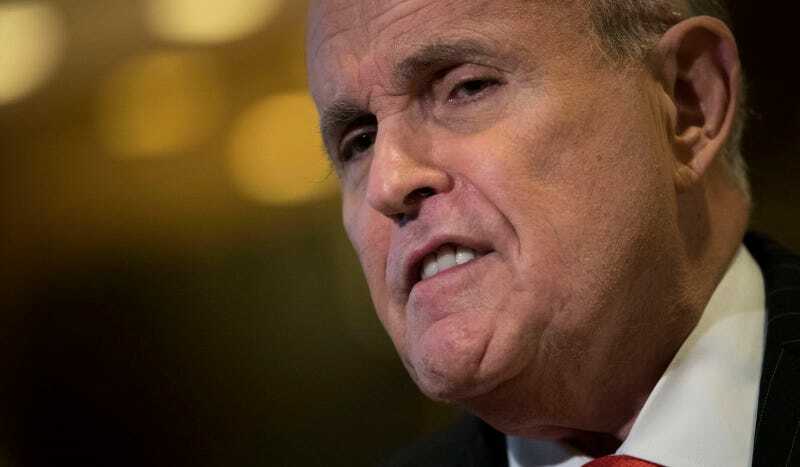 Giuliani: It’s a whole, ‘Something’s bad about Trump.’ Whatever that’s supposed to be. The full interview contains complaints about the traffic caused by protests, mocking people who didn’t vote, and a celebration of Kellyanne Conway coining the term “alternative facts.” Pretending to misunderstand the many messages of protestors this weekend is almost as disingenuous as Conway—though in Kilmeade’s case it might be a sincere lack of understanding.